For weeks I have sat at my desk staring at a blank computer screen. Every time I type a sentence, I delete it. 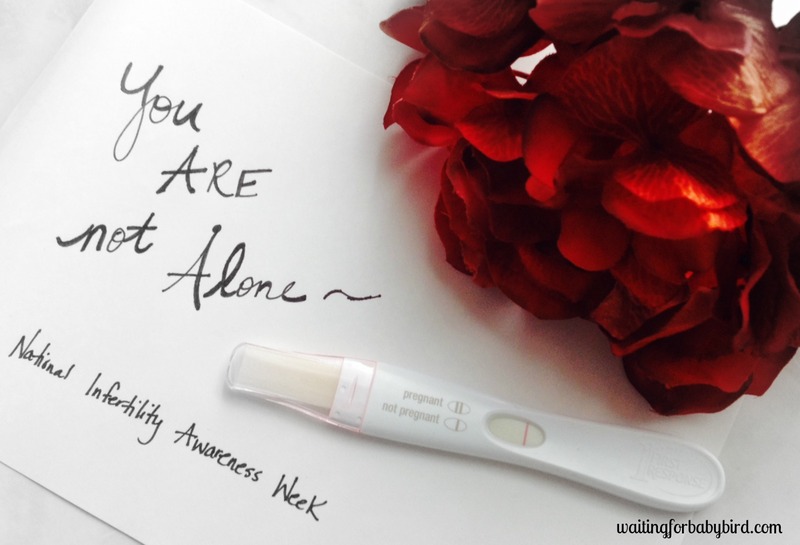 And it’s because talking about how and when and where to draw lines in the sand as you begin and continue throughout infertility treatment can be such a tricky topic because when it comes down to it, everyone is different. Everyone has different convictions. Different financial restrictions. Different insurance plans. Different doctors. Different beliefs and morals. Different opportunities. And ultimately, different hopes and dreams. For me personally, I started the unwanted path of pursuing medical intervention to grow my family without a “set plan.” This is probably shocking to anyone who knows me personally. Because this girl? Whew! I’m an over the top type A organizer who cherishes her label maker, file folders, and cutesy day planner. But oddly enough when it came to our infertility treatments, my plan of action was to basically take it one day at a time, one appointment at a time, and one recommendation at a time. But despite my lack of a set plan, I did have one set boundary. 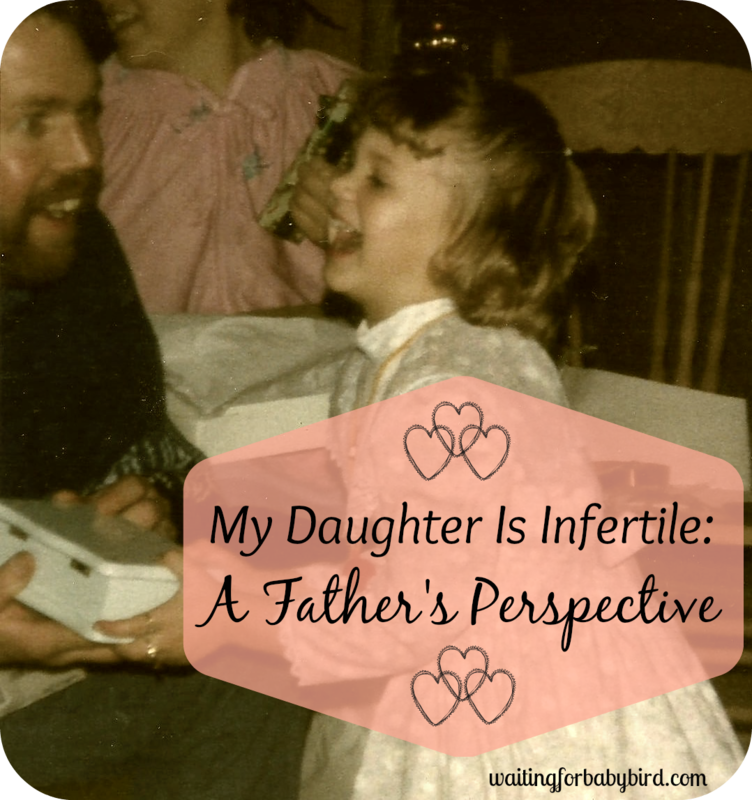 And that one boundary was simply that we would not pursue in vitro fertilization (IVF). We didn’t have any rhyme or reason; it’s just that when we discussed this option, it didn’t feel right for us. I realize IVF is a path many couples (including a majority of my friends) have taken to enlarge their families and I do not (I repeat DO NOT) pass judgment on any of them whatsoever. I believe God has many different methods, and ways, and paths for couples to grow their families. However for us? Our gut said no. And so from the beginning, every option, every medication, every procedure was on the table to discuss and possibly pursue, except IVF. But you know? Somehow between several failed treatment cycles, my intense desire to have a child (and to have one yesterday), and our doctor’s highly educated staff giving us the sales pitch of a lifetime on why IVF was not only a very good option for us, but our only option, we crossed it. And we crossed it without much thought, without much prayer, and without much consideration of anything, including possible consequences. And why? Because of one word. Fear. We feared the grim statistics spoken over us. We feared the fact that we were running out of options. And we feared the thought that if we didn’t move the line we had drawn in the sand, then our chances of becoming mommy and daddy to a precious life that had my blue eyes and his cute and pudgy nose were less than 3 percent. So it was with these fears and our emotions running high (mixed in with my crazy hormones), we went against our gut, and we said yes to something we had originally agreed to say no to. I would like to say crossing that boundary proved to be the right decision for us, but with tears in my eyes I can’t. Because from that IVF treatment cycle, I not only experienced unbearable pain from severe Ovarian Hyperstimulation (I gained nine pounds of fluid in less than 36 hours after egg retrieval), but I also endured the intense pain and devastation from a broken heart two weeks after seeing my first positive pregnancy test. You see, IVF worked. I did become pregnant. But that sweet baby? Never made it into my arms. I was never able to see their hand waving on the ultrasound screen or hear the thump, thump of a heartbeat. And it still hurts even four years later to not only think about the precious life that stopped growing inside of me, but also the eight tiny lives that for whatever reason stopped growing inside of the lab. 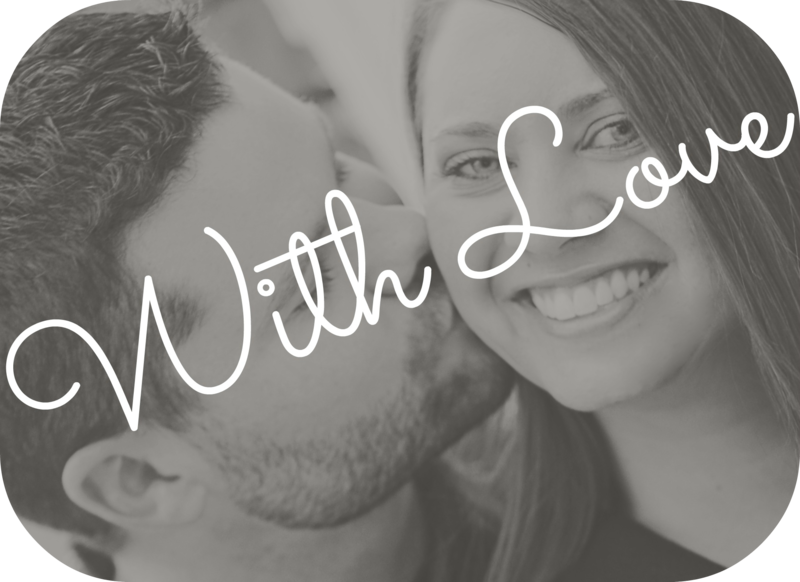 And my mind can’t help but go back to that day in the doctor’s office when I let the negative reports and my fears overshadow what I already knew was best for not only my body, but my soul, my finances, and my marriage. And maybe this is why I have been staring at a blank computer screen for weeks, unable to find words to discuss the topic of setting boundaries within infertility treatments. It seems to bring back so many mixed emotions and so many regrets, which is why I want you to hear my heart today. 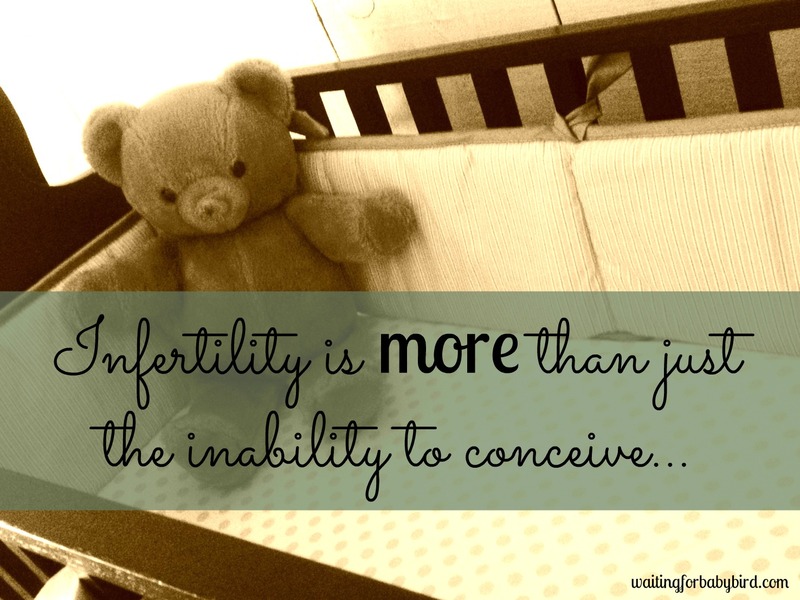 I want you to know that in the world of infertility and treatments, it is important to be flexible. Because as new information arises, new tests reveal different problems, and with constant changes in modern medicine, you do need to periodically step back and reevaluate your plans, your goals, and your boundaries. You don’t want to be so stuck in a box that it starts to suffocate you as you feel cramped and frustrated; unable to move or breathe. But at the same time, my experience has taught me that when you start talking about busting the sides out of your box, and you begin to reconsider the line you have previously drawn in the sand, you do so with caution. And more importantly, you do so with prayer. Looking back to that moment when our mouths said, “Let’s go for it” but our hearts said to wait, I have many regrets…or should I say many hard lessons learned. And if it’s okay, I want to share them with you. But before I do, I want to emphasize that these are the lessons I have learned due to my own personal experience from crossing a boundary. I know that everyone is different and therefore setting, making, and changing boundaries is a personal choice. 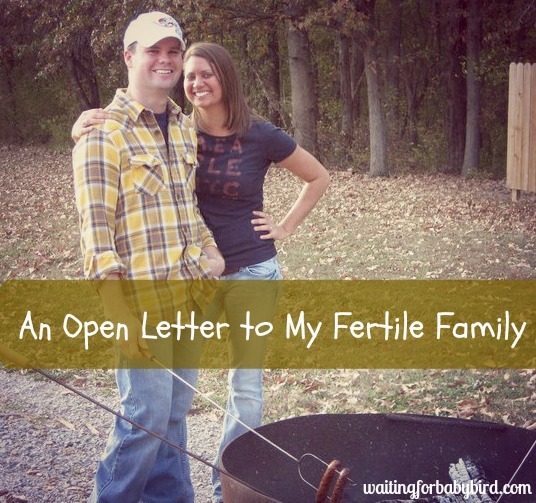 I just wanted to share a past chapter of my infertility story in the event that it could help someone else with writing the future chapter of theirs. So if you are in need of guidance or perhaps just plumb bored and want some extra reading material, then please keep reading. I truly believe that at least one of my lessons learned will either help you, or at the very least entertain you. Do not let fear be a factor. One of my favorite television shows in high school was Fear Factor. It was gross. It was scary. And it always had me on the edge of my seat. But do you remember the famous line spoken by the host in every episode? No? Well, let me help you out. He would always say at the end of the show to the winning constant, “Fear is not a factor for you.” And for them, it wasn’t. But how many times is fear a factor for us? How many times do we allow it to creep in and cloud our thinking? Perhaps even stop us dead in our tracks? Or in my case, persuade you to go forward, against your gut, and do something that you know is not in your best interest? We do it a lot. But we shouldn’t. And we can’t. Because when we do, it steals our peace, diminishes our hope, robs us of our faith, and causes us to potentially make decisions that we might later look back on and regret. So friend, don’t let fear be a factor for you. Don’t let it be the driving force in your decision making process. Just don’t. Not every door of opportunity is a door that you should open. Everything is permissible for me, but not everything is beneficial. (1 Corinthians 6:12) Wow! Isn’t this verse so true? I can’t tell you how many times I have used the excuse that I needed to do something simply because an opportunity came parading across my path. I would even rationalize it that God must have sent it Himself. And you know? He might have. But it’s important to always take a step back and evaluate the situation more closely and even pray about whether or not the opportunity is not just right, but right for you. Because can I tell you something? The devil isn’t always going to show up at your door step wearing horns, a red cape, and carrying a pitch fork. Nope! That would make him and his “opportunities” too noticeable. Instead, He might show up in a disguised outfit carrying a perfectly packaged opportunity that was not intended for you to open. But please hear my heart on this because I am not saying every opportunity is from the devil. That would be a crazy assumption. I am just pointing out that not every opportunity that comes across our path is one that we should pursue…no matter how perfectly packaged it may seem. Consider your resources (or lack of resources). Ugh! We don’t like this one because sometimes this is where reality hits and we must say no to crossing the boundary line because of either a lack of time, lack of finances, or simply because we are unable to cope emotionally. But then there are those of us (cough, cough…myself) who despite the lack of resources, say yes anyway. And so as we cross the boundaries previously set, everything becomes more stressful and everything becomes no bueno. So please do yourself a favor and not only ask yourself (and your spouse) if you have the resources to proceed, but to be also be honest with your answers. Seek a second opinion. Sometimes we feel awkward about this one because for some strange reason, we think if we do, we are committing a horrible sin by cheating on our doctor. Or maybe that’s just me (looks around). But friend, let me just say…cheat away! Your health, the future of your family, your hard earned finances, and your emotional well-being are all on the line. So before you take that plunge and cross that boundary, have a fresh set of eyes take a look at your charts, your lab work, and your lady bits. And when they do, don’t feel guilty for it. Caphiche? Pray and then Plan. I am a firm believer in planning. In fact, my motto is this…”Failing to plan is planning to fail.” But you know what else I believe? I believe that failing to pray before you plan, is also a recipe for disaster. Because according to Psalm 94:11, the plans we make without His wisdom and direction, are pointless. So my advice is to always go ahead and plan; but make sure your plans are birthed in prayer. Because if not? The plans you make might just produce more heartache and destruction, as well as, prove to be a waste of your time, money, and other resources. And that’s it! But before I finally close out this computer screen that has been staring back at me for weeks, I want to once again reiterate that these lessons learned are my own and stem from my own experiences. 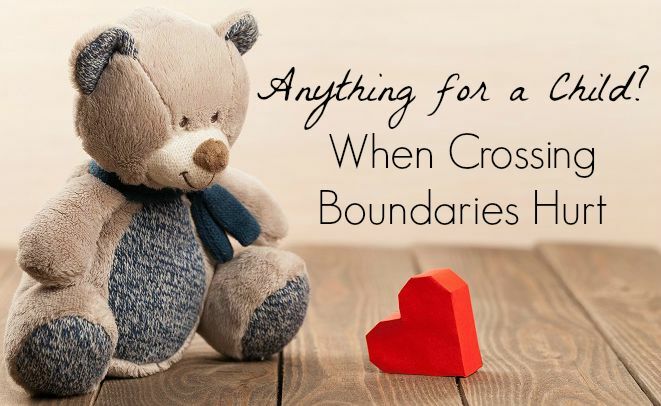 You may have had a different and much more pleasant experience when you chose to cross over your boundaries, which is great! But please remember I can only share my side of the story. A story I wish I could go back and rewrite. Thank you. Hopefully we get some sort of answers next week when I see the high risk OB. Fingers crossed! It is crazy how different you and I are (currently starting my 8th IVF cycle and have one living son and hoping for a sibling) yet your words totally speak to me. You really opened up your heart here and I so appreciate it. My boundaries are very wide and far but yet I still have them out there somewhere. This is a great reminder for me and also a great example of how different all of our journeys are. Lots of love to you. I really enjoyed this, definitely something I myself need to consider. This is a beautiful post!! I agree with you because we also set boundaries on what things we were not willing to do to try and have a baby. Because we were able to do IVF as part of a study for a lower cost we did go that route BUT if it wouldn’t have worked we likely would not have continued any further treatment. Oh and we also feel like in any decision we make in life together we pray about it and if it’s meant to happen it will and if not we know that whatever it is wasn’t meant for us at that time. Prayer is so key when making decisions. Back when I did IVF I was a Christian but I didn’t seek God and His wisdom for my life like I do now. 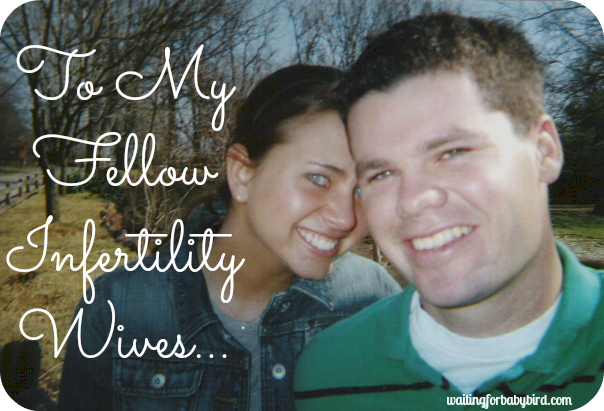 Infertility has def brought me closer to Him and has taught me more about Who He is. I honestly wouldn’t trade if for the anything. The article is lovely Elisha. Thank you for finding the forage and words to share your story. A lovely blog, and as you said, from the heart. I think your points all rang true. 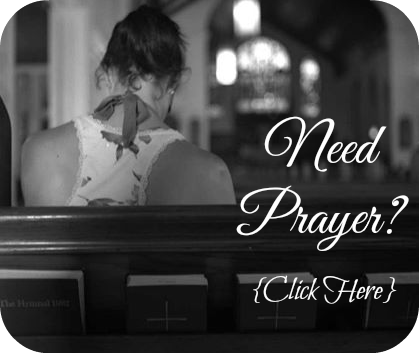 I really think most of us on the infertility journey have probably all expanded our boundaries at some point, but it does need to be done with thought and prayer and not rushed. Also I whole heartedly agree on the second opinion. I doubt if we’d just done our second cycle at the same clinic as the first that it would have worked. The second opinion was the best thing we did and I’ll be forever grateful to my fertility acupuncturist for recommending it. 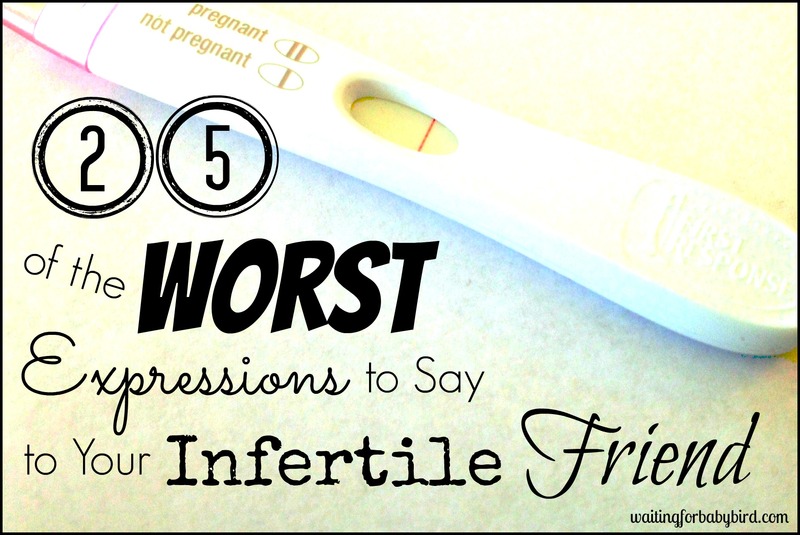 Your honesty of admitting maybe you shouldn’t have broken your boundary for IVF was touching.. But it can be so hard to know its a boundary you shouldn’t cross when we all just want this dream so much and want to try all avenues possible. I’m sorry you had such an awful OHSS experience. A beautiful, thought provoking piece, as always! Thank you for sharing those lessons.